It looks like today, Google Assistant is rolling out Routines - launching on Android, iOS and Google Home assistants. Routines are basically multiple task strung together with one unifying command. Say for example you wanted to tell the assistant you are leaving home and to turn on the security cameras, lights, lock the door, and play soothing music for your dog, you will be able to do all of this with one simple command. Routines can be found under the Home App Settings> More Settings >Routines. Each will offer a pre-set list of items to include with the routine ranging from Take phone off silent to tell me about my commute, to weather as well as creating custom commands. Many of these offer some modification through a gear icon that includes further settings for that task. It seems there are two sections of settings for the Routine which are what the assistant should do and then what the assistant should play (if anything). So for example you can have it tell you the commute, calendar, turn on lights, and then play the news. It also appears that My Day has been removed. This is essentially replaced by the routines that are appropriate like Good Morning or Good Afternoon routines mentioned above. Any settings you have for My Day will be mapped to the appropriate Routine so you don't have to recreate the wheel. 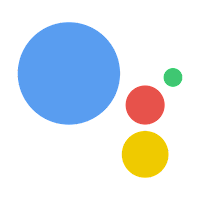 I think this is an awesome enhancement to the Assistant functionality, but hope they will allow for creating your own routines above and beyond the initial 6. Cool article! Thanks for sharing this. I am an student and each time I get new written work assignment I get apprehensive and restless on the grounds that I was constantly difficult for me to write. I waste many hours looking for right writing service and have at last discovered it on Custom Essay Writing Service, a few people would state it's not the best practice but rather I contrast how professional writing and attempt with get the hang of something. Thank you for sharing google assistant routines. I wanted to know about this topic and my search took me to your blog. I read the whole post, it is pretty good to read which has included all the important details. It was a clean article with a perfect writing quality. I am writer at best essay writing service and I have learned lots of thing from your article. Thank you for being such a great writer.